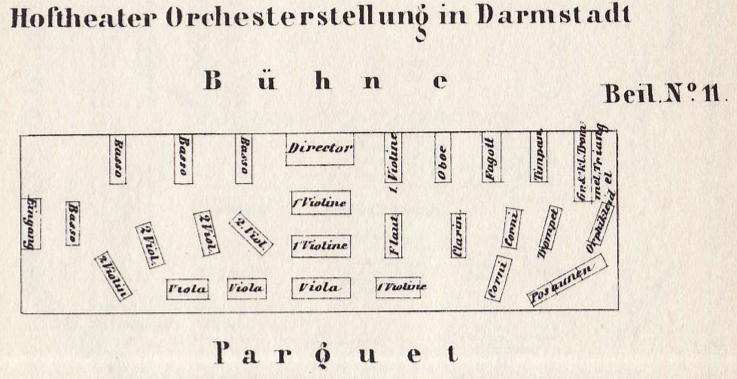 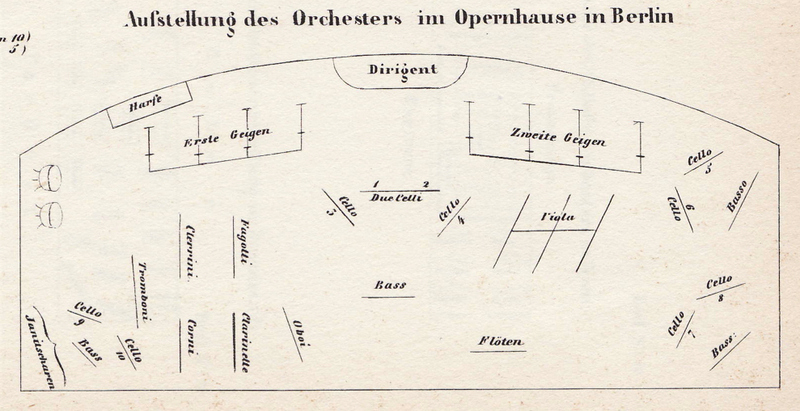 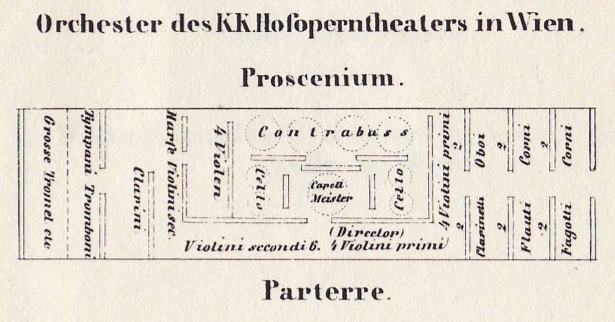 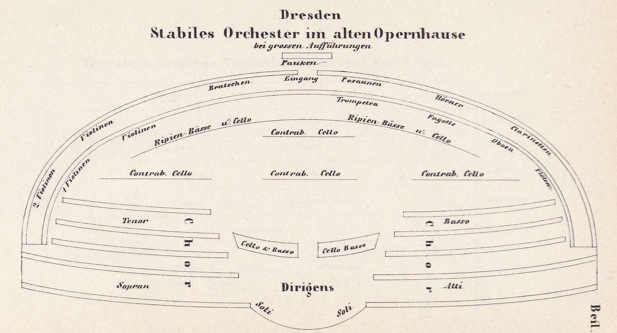 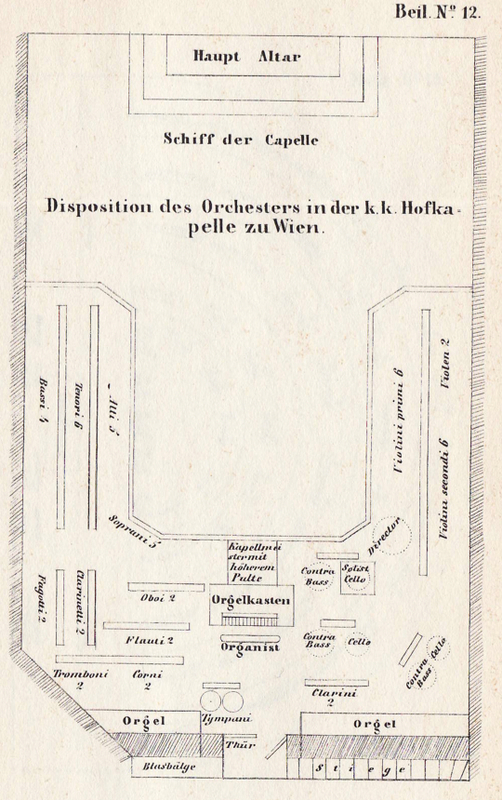 I am posting these 19th century orchestra seating plans as a blog entry instead of in the Trombone Timeline, mainly for reasons of space. 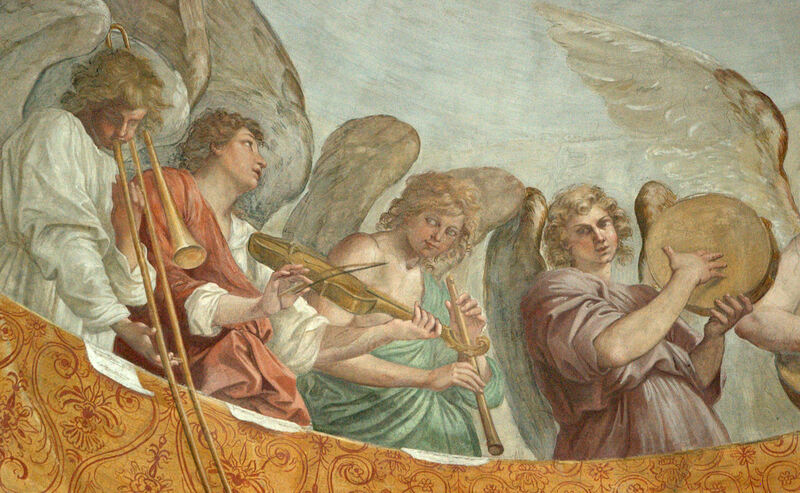 They come from 2 sources. 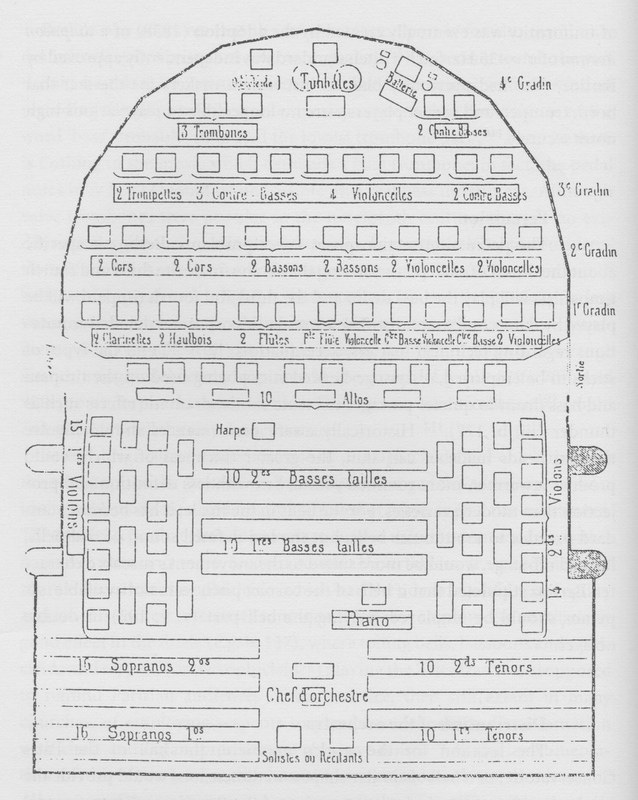 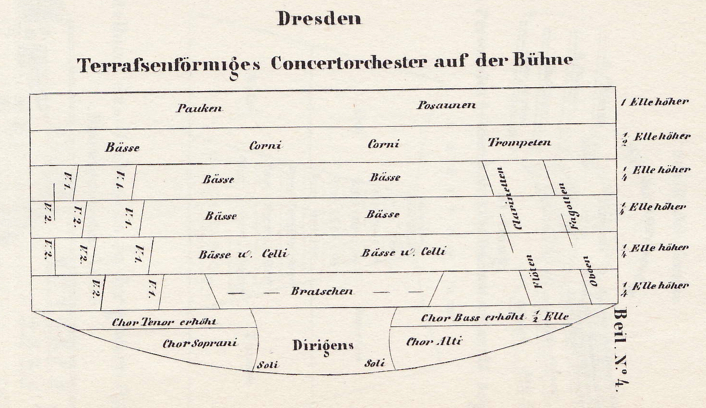 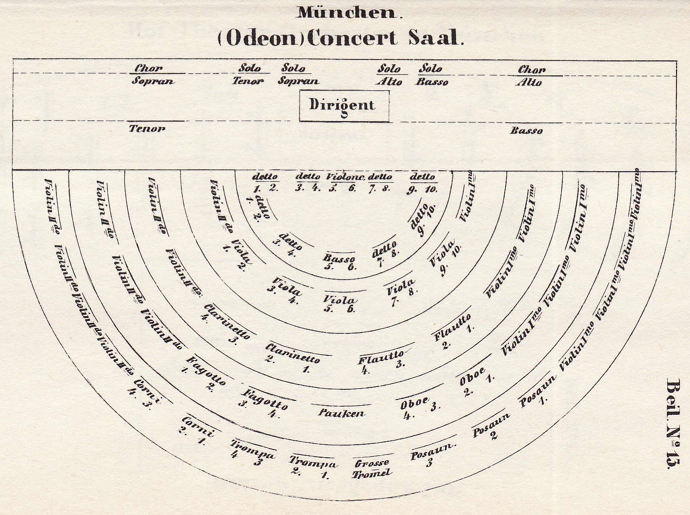 The largest group, 15 seating plans from the year 1844, all of German/Austrian orchestras, was published in Ferdinand Gassner’s Partiturkenntnis. 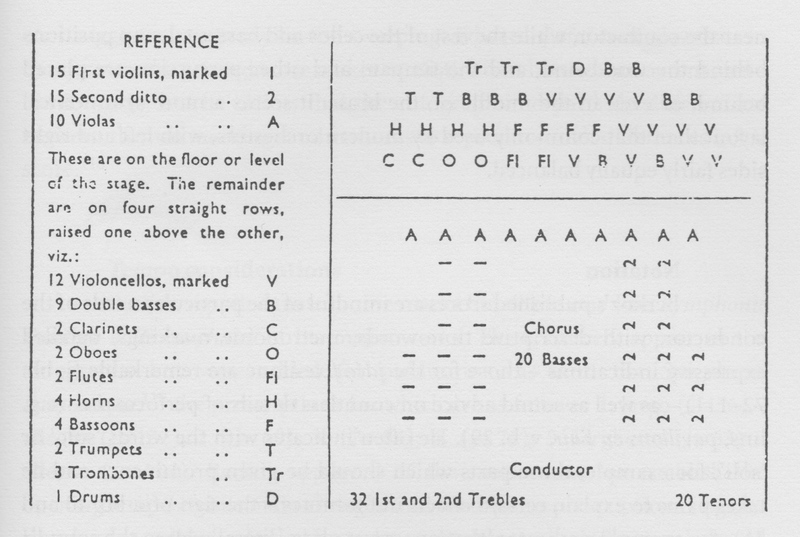 The second is a group of 3 more charts from Lawson and Stowell’s book, The Historical Performance of Music (p. 134 for Société des Concerts, Paris, c. 1828; p. 135 for Société des Concerts, Paris, c. 1828; and p. 141 for Boston Symphony, 1881). 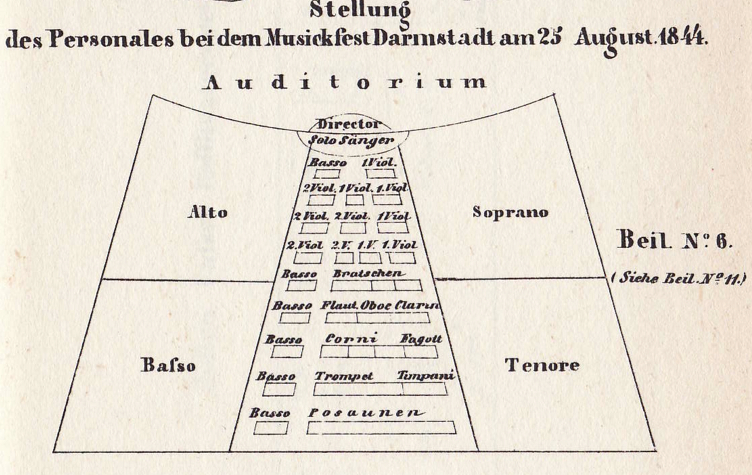 I think these seating plans are quite intriguing. 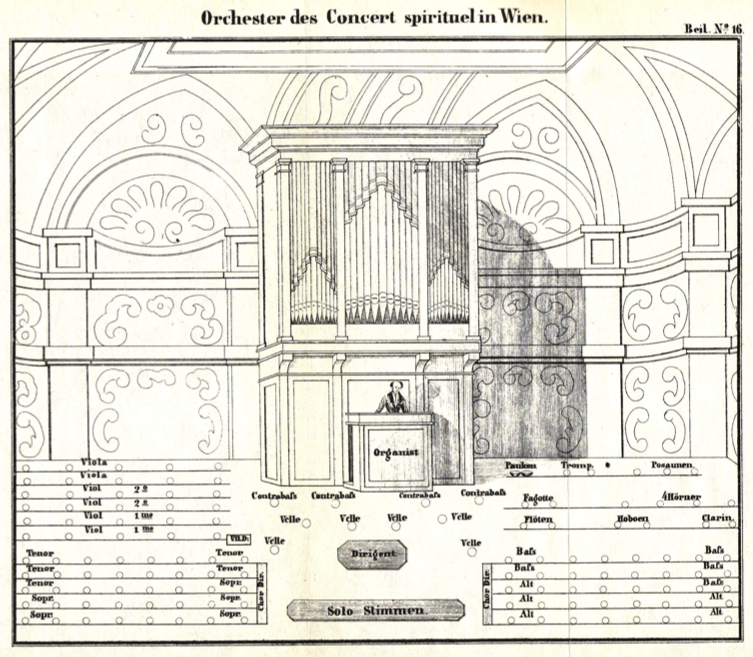 They help provide information about which instruments were utilized, how many were used, which orchestras were active at the time, and, of course, where the instruments were commonly placed in performances. 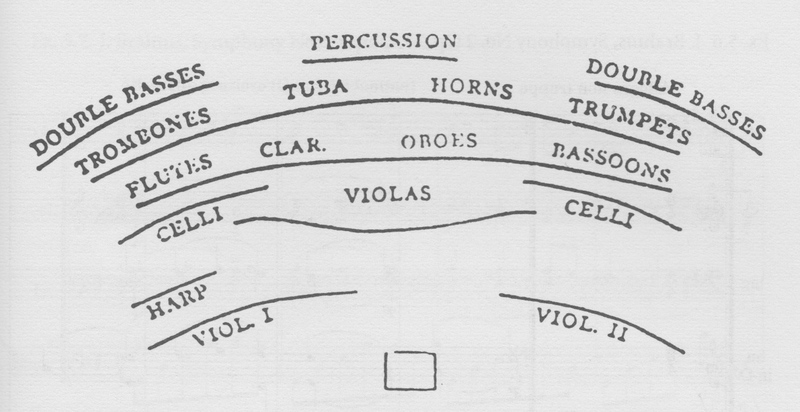 Trombones are included in almost all the orchestras, labeled variously in the seating plans as tromboni, posaunen, and their abbreviations. 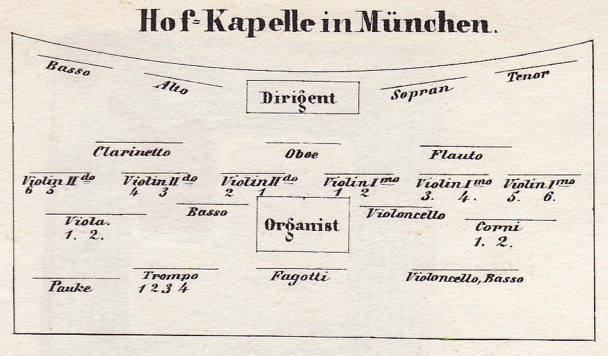 It would appear that, for the most part, we’ve been in the back of the band for a long time!